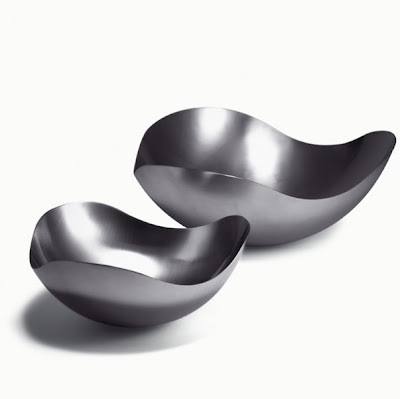 ellehermansen: Georg Jensen: Bloom Bowls! 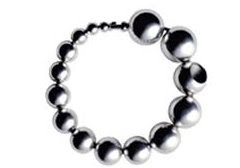 Danish designer house Georg Jensen has a beautiful jewelery line that I wouldn't mind getting a couple pieces of. This design team also has a keen eye for simple and beautiful, Scandinavian minimalistic decor (I really want the teapot to the right!). Based on flowers she discovered in her travels in Asia, designer Helle Damkjaer created the BLOOM serving bowl. The bowls represent petals of the exotic blooms she came across while she was abroad. Asia has been a strong source of inspiration to the designer throughout the years. They are perfect to use as part of the dinner table setting but can also be used as decorative touches, for a bowl of fruit center piece perhaps. 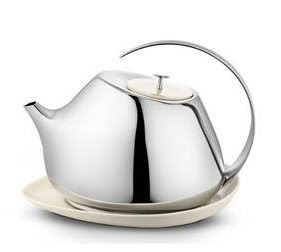 The matt stainless steel is soft to the touch and pleasing to the eye. It is modern without feeling industrial. The sloping shape creates a soft reflection. A celebration of nature's innumerable forms."